Jeremy and Amy’s wedding reception was held at the Gazebo in Warren Michigan. The staff there lit these candles right before dinner that sparkled and shot up flames from the buffet tables it was pretty cool. You can view a quick clip of the sparkling candles in our video demo on the right hand side of this website (it is @ 2:06). Since the colors for the wedding reception were tropical (vibrant oranges and pinks) we had wall lighting fixtures behind the head table complimenting the dresses for the reception. Lighting design always makes for one awesome backdrop in your photos when you photographer is taking those shots. Accent lighting can leave a pretty big impact on your dance floor. 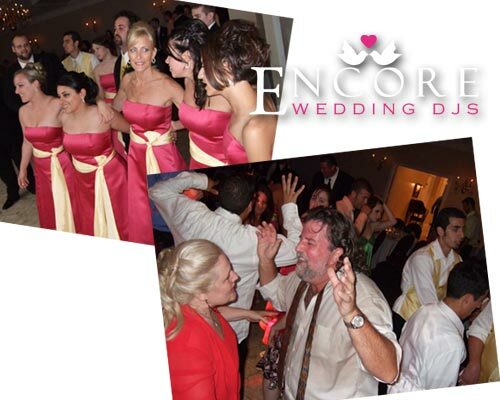 At this reception, we had guests break dancing 20 minutes into open dance… Classic!